Waiting on Wednesday is hosted by Jill at Breaking the Spine . Waiting on Wednesday is a weekly event meant to showcase the not-yet-released books that we are eagerly awaiting. 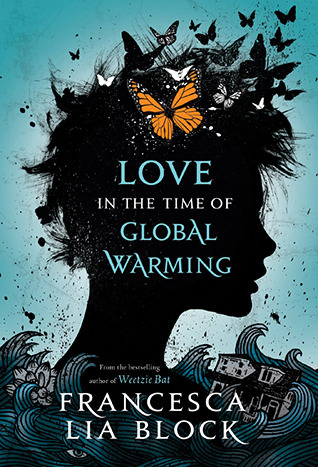 This week I've chosen Love in the Time of Global Warming by Francesca Lia Block. Release Date: August 27th, 2013. The cover looks absolutely stunning, the synopsis is especially intriguing, and the title is SO FASCINATING. CAN I HAVE IT? Yup! That cover is awesome. What an unusual story. Definitely adding it to my list. Thanks! Excellent choice! I can't wait to read it either! Looks awesome.